How Many Bars & Restaurants Are There In Lanzarote? Another interesting statistic worth looking at is the number of bars on the island in 2006, which was considered a “boom” year for bar owners on the island. The total number has increased by more than 40% in the intervening 9 years, so businesses in that sector are facing much stiffer competition for our visitor’s Euros. We will continue our on-going quest on your behalf to visit them all! 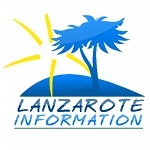 More reading: Random facts about the population of Lanzarote.